If you own any bitcoin, whether through investment or even sent to you as a gift, then at some point or another, you’re going to start to wonder how exactly you can turn it into standard centralized currency (fiat currency). Thankfully, there are plenty of ways for how to turn bitcoin into USD, or really any major currency that you want. Is it Worth Turning my Bitcoin into USD? Some of the methods are what you would expect when transferring one currency into another, while others are quite surprising given that bitcoin is not yet considered to be a widespread currency. The first step to turning your hidden stash of bitcoin into USD, is to make sure that your anonymous bitcoin wallet is in check. When buying, selling, or trading bitcoin, your bitcoin wallet is one of your most important pieces of equipment. While technically no bitcoins are stored in the virtual wallet, it does give you a private key, which is a piece of information that you’re not going to want to lose, as you need it to spend your bitcoin. Of the estimated around 16.7 million bitcoins in circulation, worth about 192,160,303,500.00 USD, up to 30% could have been lost due to forgotten private keys and technology malfunctions. You can use your wallet to keep track of your bitcoin and buy or sell bitcoin. Most of the primary ways for how to turn bitcoin into USD are also going to rely on you having a wallet. There are plenty of different types of wallet for you to choose from; operating online, on your desktop, on mobile, or through hardware. It’s possible to have multiple wallets for different systems, so keeping track of them is essential. Popular bitcoin wallets include BitcoinCore.org, Bither, Coinbase, and Bitcoin Knots. When choosing a wallet to use, it should be secure, and you should never give out your private key. Cryptocurrency exchange services are one of the most popular ways to exchange bitcoin for USD, or any other currency. If you have purchased bitcoin previously, then the chance is, you have already encountered this method for exchanging currency as most major sites that enable you to buy bitcoin also let you sell bitcoin. These are commonly known as centralized exchanges. Most processes are very simple; you can select different wallets to withdraw from and different bank accounts for the currency to go into. While this process is straightforward, there are fees attached to withdrawal, so it is important to shop around and find a service that is right for you. Bitstamp.net is owned by Bitstamp Ltd., a company which has its base in the United States, Luxembourg and the UK. Bitstamp is Europe’s first stock exchange to operate under license from Luxembourg’s Supervisory Commission, and this ensures that all of its activities are fully regulated. The ability to use fiat money to deposit funds into trader accounts and to withdraw funds with ease. One of the oldest crypto-exchange exchanges, Kraken.com was established in San Francisco in 2011 by Jesse Powell and Payward Inc. Taking the TOP-1 among all of the exchanges in terms of its trading volume in the Bitcoin/Euro pairing, Kraken offers over 50 different cryptocurrency pairs offering impressive choice for traders. Kraken also uses both semi cold and cold storage media, ensuring an excellent level of security for the traders’ peace of mind. All traders’ personal information is fully encrypted for additional security and protection from cybercrime. 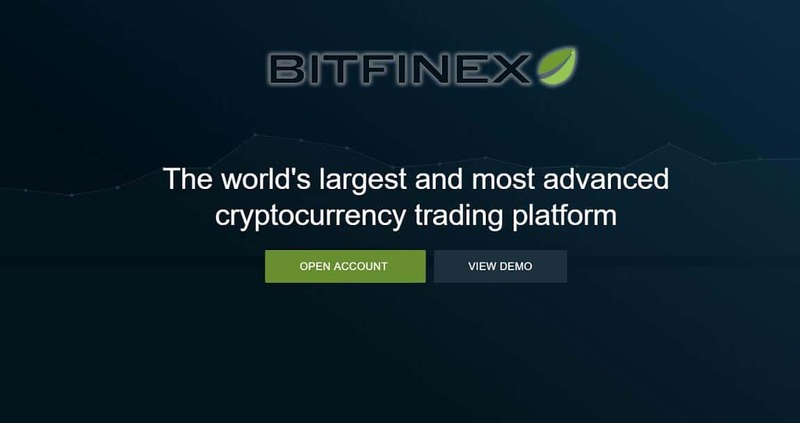 Bitfinex.com is one of the biggest exchanges that allow citizens from many countries to trade and as an added benefit, it offers a user friendly and intuitive interface which makes trading with this exchange very simple. Bitfinex also offers an outstanding range of cryptocurrencies for trading as well as offering the possibility of margin trading, ensuring that traders can enjoy an excellent trading experience. 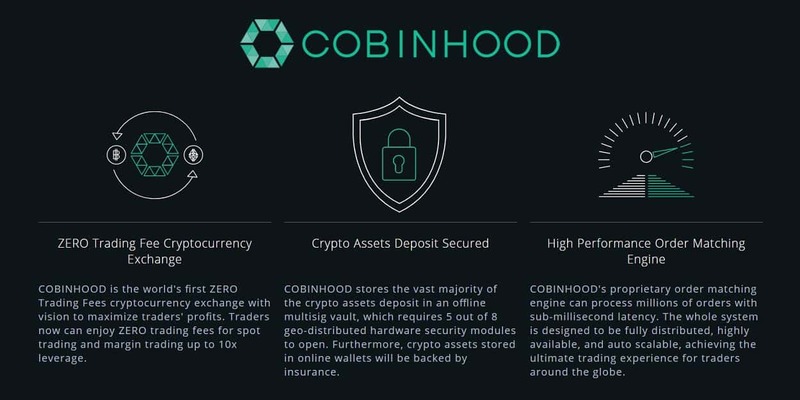 Cobinhood.com is a newly established cryptocurrency exchange which was set up at the end of November 2017 by Taiwanese entrepreneur Popo Chen. This exchange is owned BEING Inc which is based in the Cayman Islands. Cobinhood stands out in the cryptocurrency exchange marketplace because it purports to be the first digital currency exchange to offer zero commission fees for traders. Due to internal banking systems, Cobinhood has decided to temporarily halt servicing fiat transactions and replace all USD trading pairs with USDT and only support crypto-to-crypto trading. Founded in 2014 by Tristan d’Agosta, this stock exchange still has a number of anonymous employees and has no license for the provision of exchange services in the USA. Based in San Francisco, this currency exchange is primarily geared towards the American market, however it is starting to become increasingly popular, with its large trade volume attracting altcoin traders from around the world. Unfortunately, fiat money is not supported with this exchange which is a distinct limitation for traders. That means you can’t exchange BTC to USD directly, but through USDT for example. Traders frequently experience significant delays when trying to withdraw their funds from their trader accounts. Coinbase.com – Widely used and well-established, Coinbase is a versatile and easy to use exchange for bitcoin purchases and sales. Binance.com – A popular exchange that allows you to buy and sell bitcoin, with an easy to use layout, and easy viewing of the current market for multiple cryptocurrencies. Bittrex.com – Specializing in fast personal and business transactions, Bittrex offers users the ability to buy and sell a great range of innovative cryptocurrencies, including bitcoin. Cubits.com – With a style of service that is easy to adapt to, you can buy bitcoin, and sell bitcoin for an extensive range of currencies, including USD, GBP, and EUR. GDAX.com – A regulated U.S exchange, GDAX is one of the most trusted exchanges for digital assets, allowing you to buy and sell multiple cryptocurrencies. Despite being a relatively new currency, technology has kept up with the bitcoin craze and enabled users to cash-in or out of bitcoin, for the most part, with ease. Some methods you can use from home, whilst you may be surprised to learn that others you’ll encounter out and about. Just like withdrawing bitcoin straight into your bank account, it is also possible to transfer bitcoin between digital wallets. This can be done though certain centralized exchanges and is a very similar process to withdrawing straight to your bank account. One of the preferred digital wallets, and one that many people already use on a day-to-day basis, is PayPal. It’s possible on some sites to exchange bitcoins directly for PayPal USD or convert them first and then send the fiat currency directly to PayPal. Again, this does have fees involved, but is an alternative withdrawal system for those that prefer, or are accustomed to using, other digital wallets. Trading bitcoins is a much more in-depth and personal way to sell your bitcoins – and one that could potentially earn you additional currency. It works almost like a bartering system; people post deals, and other people respond. You can normally select a payment currency, give feedback, and pick and choose from buyers or sellers. Before any transaction can take place, all parties must agree to the terms – then the currency will be released. Popular sites, like LocalBitcoins, offer this kind of platform for peer-to-peer bitcoin trading. The process has been made quite simple and many people prefer this method, despite the slight risk, because it’s fast and anonymous. An option that might be surprising when looking to turn bitcoin into USD, is the use of a bitcoin debit card. For the most part, these work almost exactly like your standard debit card does – just linked to your bitcoin wallet instead of your bank account. Just like the exchange service, there are multiple different systems that you can use to obtain a debit card, including Bitpay.com, Wirexapp.com, and Shiftpayments.com. There are very few restrictions on the use of a bitcoin debit card, which can generally be used anywhere that a standard debit card is accepted. During each transaction, the amount of money that you need to pay will be converted from your bitcoin balance to pay in fiat currency. There are mixed feelings about the adoption of bitcoin debit cards, as it is shifting bitcoin towards a more centralized form of currency. However, if are out and about, and you need to pay for something, then it is a quick and easy way to turn bitcoin into USD. When choosing a digital currency exchange, the amount of services offered, and user-friendliness are important, but primarily you should consider security. Each exchange offers a different security service, terms and conditions, and fees. Take note of the insurance polices when picking your exchange, exchanges like Coinbase offer a $250,000 insurance policy on their wallets, whilst others don’t have a similar policy in place. Each site has a different process, wait time, and conditions, but once you have mastered the general process, you should have no trouble using the majority. Generally, you will be faced with one of two options; convert your currency then withdraw or select an amount of USD to withdraw and then wait for confirmation that you have enough bitcoin to receive that amount of USD. Running with a similar theme to obtaining a bitcoin debit card, is the use of a bitcoin ATM. The bitcoin ATMs can be used to buy bitcoin and many also allow you to sell bitcoin in exchange for instant fiat currency. A bitcoin ATM a little different to your standard ATM, but you may be surprised to learn that there are more than 1500 ATM’s in operation across America. Cities like Washington, Los Angeles, New York, Atlanta, and Chicago, have some of the highest concentrations of bitcoin ATMs. The internet-connected machine will direct the user to a bitcoin exchange, where they will be able to complete their transaction – normally with a higher charge than through alternative methods. The machines have popped up all over the world in recent years, giving bitcoin users a new way to use the currency as part of their daily lives. The final option for turning your bitcoin into USD, is more of an indirect way – spending it. While bitcoin is a long way off being widely adopted, with some of the major companies in the USA, it can take the place of USD. This works a little differently to the bitcoin debit card, and certainly isn’t as flexible, but it is a viable way to turn bitcoin in your wallet into products or services that you would have otherwise purchased for fiat currency. The process of spending bitcoin without additional services, generally involves the use of QR codes. All you need is a bitcoin wallet that operates on your mobile device. To spend the bitcoin, you just need to scan the QR code and agree to the transaction. There are big companies and small companies alike that accept bitcoin transactions in place of standard transactions. These include Microsoft and Reddit – with services you can purchase from your own home using bitcoin, and smaller stores like Helen’s Pizza – where you can buy a pizza slice for bitcoin. This concept and the ability to pay directly with bitcoin has seen a slow but steady adoption. It has come a long way since the first believed tangible bitcoin transaction which took place in 2010, when a developer purchased two pizzas for 10,000 bitcoins – worth around 115,610,400 USD today! While there are now multiple ways to convert your bitcoin into USD, with the services available only seeming to increase, a big worry for many is whether it’s worth converting their bitcoin now or waiting. The bitcoin market is constantly changing, much more dramatically than fiat currency, so it is difficult to tell exactly when the right time is to sell or even buy bitcoin is. In February 2018 alone, you could have purchased one bitcoin for as low as $6,914.26 and sold it just a couple weeks later at $11,228.24 – earning $4,313.98 in the process. There is no denying that having so many options available, many of which you can use on the go, is incredibly handy, and a step forward for the wider adoption of cryptocurrency in the future. Whether it is worth turning your bitcoin in USD now though, is a question that only time will be able to answer.